I’m probably a bit late in seeking to chime in on Trump’s latest immigration atrocity (including, now, his administration’s efforts to discharge immigrant members of the armed forces and to mobilize a “denaturalization” task force), and I don’t think I have anything substantive to add to the conversation, especially as a middle-class (by USAmerican standards) “white” male. Still, I’m reminded of something that A.J. 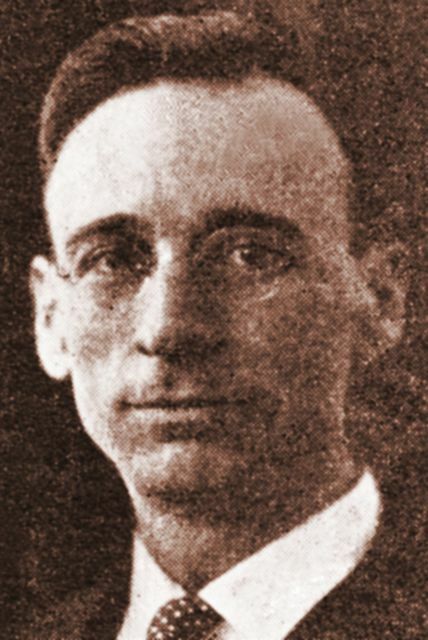 Muste (pictured above) is reported to have said. According to Wikipedia, Muste “was a Dutch-born American clergyman and political activist…best remembered for his work in the labor movement, pacifist movement, antiwar movement, and the Civil Rights Movement.” In other words, he’s my kind of guy. I heard it reported that Muste, while demonstrating during the Civil Rights movement, was asked if he thought his demonstrating would change the country. He said that’s not why he was doing it. Instead, he said, he was “demonstrating so that his country wouldn’t change him.” I think the same logic applies here too. I’ve said before that I often write to discover what I think. Perhaps I also do it to remind myself, if no one else, of who I am. I do it, on the rare occasion I do these days, not because I think my writing will change the country or even a single other person’s mind, but instead so that in these perilous times “my” country doesn’t change me. I started this post two weeks ago, and said then that I don’t know how you can observe the pictures and stories in the news of late and not be moved by them. I certainly am. Kirsten had asked me then how I was doing, likely referring to the pain and swelling from my torn left meniscus (I had surgery on a torn right meniscus a couple of years ago; now I need it on the left), which was recently exacerbated dramatically by all the heavy lifting and physical labor I’ve been doing to get ourselves moved into our new home and then to get Kirsten’s mom moved in too. She might also have been referring to the stress and fatigue of all those transitions just mentioned, especially related to integrating Kirsten’s mom into our new home and figuring out all of the “new normals” that go along with that; she could have meant any number of things. What I told her was that I was feeling alternately sad, angry, and determined. Interestingly, that range of emotion is probably appropriate for all of the circumstances outlined above, not the least of which is Trump’s family separation (and now, indefinite family detention on military bases) policy. And I can’t help but see a causal link between all that and what’s happening in my own home. As I alluded to above, we have a new home. After spending the past year working so hard to “get small” by giving up as much power, privilege, and possessions as we could so that we could get closer to experiencing life from “under” the oppression of the dominators (of whom we are a part) rather than “over” it, which is our default stance given our inherited “white” privilege and economic power; after coming to learn that solidarity with those under the oppression of the dominators requires proximity to them; after realizing how selfishly we had been living for so very long and making all the changes necessary to get out of debt and move into position to be radically generous and hospitable once we had done so; after all that, here we are as home”owners” again with a house in the ‘burbs, smartphones, two cars, etc. Granted, our second car before was a very expensive one with a very bad loan that we would have spent years repaying, but with the help of our faith community we paid it off and sold it, and our second car now is 11 years old with over 140,000 miles on it which we paid for all at once in cash. Still, we have all the trappings of a very privileged life. And traps they most certainly are. We cut short our plans to be fully debt free (except for student loan debt, which we may die with) by the end of this year when Kirsten’s younger sister moved away, leaving us as the only viable family nearby both able and willing to give care to Kirsten’s mom. Then, the owner of the house Kirsten’s mom has been living in said she needed to sell it, and suddenly we found ourselves springing into action. Kirsten’s mom has declining health and mobility, and it just seemed to be obvious that we should try to get into a house that she could move into with us. She has lived with us before; so we knew there would be challenges, but it seemed to be the right thing to do. One of the commands of Jesus that we’ve come back to time and again over the past year in our journey of “getting small” is his directive to give to those who ask of us. We felt ourselves being asked, even if implicitly. So we got ourselves in a position to give. When we found a small house with a finished basement and attic that had been divided into 6(!) bedrooms with three small ones in the basement that our little family of four could live in; one main floor bedroom with a bathroom and the kitchen and living room nearby that Kirsten’s mom could live in; and two more upstairs bedrooms that could serve as a guest room and maybe an office, we believed we had found a house that aligned with our values of radical generosity and hospitality, even if it was in the ‘burbs and would make us more proximate to the dominators than those dominated. The house is still very close to our faith community, and by all accounts it’s a modest home (by “white” USAmerican standards). 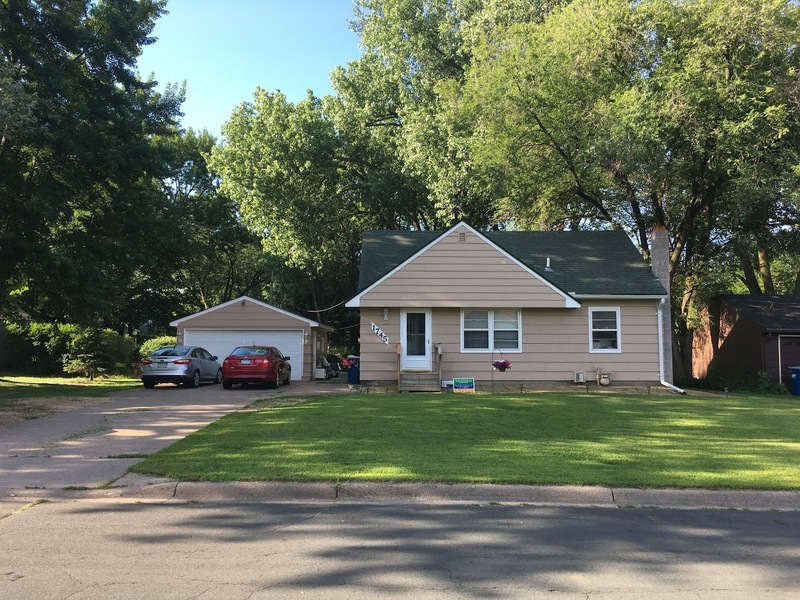 Its footprint is small (though there is a big back yard); there’s nothing “fancy” about it. In fact, it needs some work, but our hope is that it will serve us well as Kirsten’s mom lives with us for now by allowing us to still be hospitable and generous, and in the future, it could give lots of options for communal living. So by the grace of God and in recognition of our “white” privilege, we secured a loan, bought the house, and moved in. Since then we’ve worked tirelessly to get it ready for Kirsten’s mom: painting her room with multiple coats; ripping up carpet and refinishing her wood floor; replacing a door I had broken while ripping up carpet; replacing the main floor bathroom vanity, sink, and faucet to make the bathroom more accessible to her and then dealing with the resulting plumbing issues; replacing some non-functioning kitchen appliances; and the list goes on. Kirsten’s mom moved in now a few weekends ago. She’s coming from a three bedroom house that was entirely full of just her stuff, and moving from that whole house with all those rooms into basically just a bedroom in our house, and a smaller one at that. She’s made a genuine effort to pare down and give away some of that stuff she had, but our now shared home has still been awash in the sea of all the stuff she brought, and daily it’s been a struggle to bail out. Part of the “paring down” process she’s engaged in has involved offering random things to our kids, including a jar full of sea shells, some framed nondescript scenic background pictures, etc. This all led to a situation recently in which our Xbox owning, expensive YMCA summer program attending boys were arguing over who was getting which of grandma’s framed random scenic pictures; meanwhile, migrant 4-year-olds from Central America are sleeping in cages courtesy of the U.S. government and “my” taxpayer dollars, while their parents are on the fast track to deportation, all so that coal miners in W. Virginia can be distracted from learning the real reason for their declining job prospects, and my heart is ready to burst. God, help us. Forgive us for all the times our actions make clear that we value things more than people. Forgive us for all the ways we continue to benefit from privilege afforded to us unjustly. Forgive us for how easily we fall back under the spell of Mammon, for how readily we accept a wealthy lifestyle afforded by capitalism and created and maintained by violence. Many, many times over the past year I spoke of capitalism/Mammon and violence as the two forces I saw most powerfully at work these days (and probably in all days) doing all they can to thwart and resist the ever coming kingdom of God. It’s actually kind of ironic. We who would resist the “new world order” are seen as just that, resisters working over and against the dominant forces in the world today. Confoundingly, in truth it is those who seek to maintain this brutal world order founded on that which is not God’s rule, that which is not God’s economy of Jubilee- it is they who are the resisters; they are the ones fighting an inevitably lost cause. It may not seem that way most days, but I don’t doubt for a second that it’s true. God’s kingdom of love and justice will come. God’s will, will be done on earth just as it is in heaven because heaven will come to earth and is doing so even now. We who would really follow Jesus then must be constantly reminded, and must remind ourselves as I hope I am doing now- that we are people from the future; we are a foretaste of the feast to come. We are to embody the new reality that God is birthing by being an alternative to what the sin-sick world has to offer. Wake us up, Lord, and give us boldness to live with radical generosity and hospitality, with radical love and acceptance, in S. Texas, in the Gaza Strip and Jerusalem, in Minneapolis and Washington, D.C., and in my own little home in the ‘burbs. Amen. Posted in Alternativity, Capitalism/Consumerism, Following Jesus, God's Economy, News and politics, What's Up- Personal, Story, etc.